“Many, many people don’t like chlorine,” said Bryan Morse, who runs a landscaping company in Vista, Calif., called Expanding Horizons that builds water features and branched into natural pools five years ago. Michael Littlewood is on a personal mission. The independent landscape architect has sent the last several years trying to convince England’s home owners they can enjoy safe backyard swimming sans all the harsh chemicals. Many people can still remember the joy of bathing and swimming in natural waters in the countryside, whether it was a lake river or a pond, in sunshine or moonlight, whatever the weather, with or without clothes, in groups or as a solitary soul, planned or spontaneous. Natural Pools allow nature to provide hygienic water for swimming. The vibrant ecology of plants and animals condition the water so there is no need for any chemical disinfectants. These pools are healthy for people and wildlife. 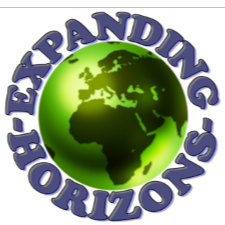 Expanding Horizons is the only companies in California actively promoting this alternative to a chlorinated swimming pool.